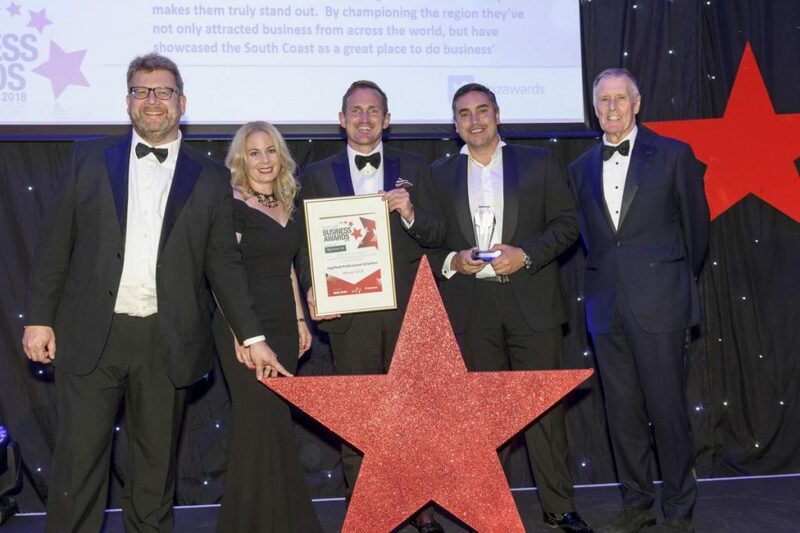 The South Coast Business Awards took place at the Hilton Ageas on Friday 13th July, and as previously announced, Highfield were shortlisted finalists for two categories – Outstanding Contribution to the South Coast Region and Scale up Business of the Year. Although we didn’t win the award for Scale up Business of the Year. We are thrilled to announce that Highfield won the award for Outstanding Contribution to the South Coast Region. We were honoured to be shortlisted for such prestigious awards, so knowing that we have been recognised for the work we do and winning, is a huge achievement for us. 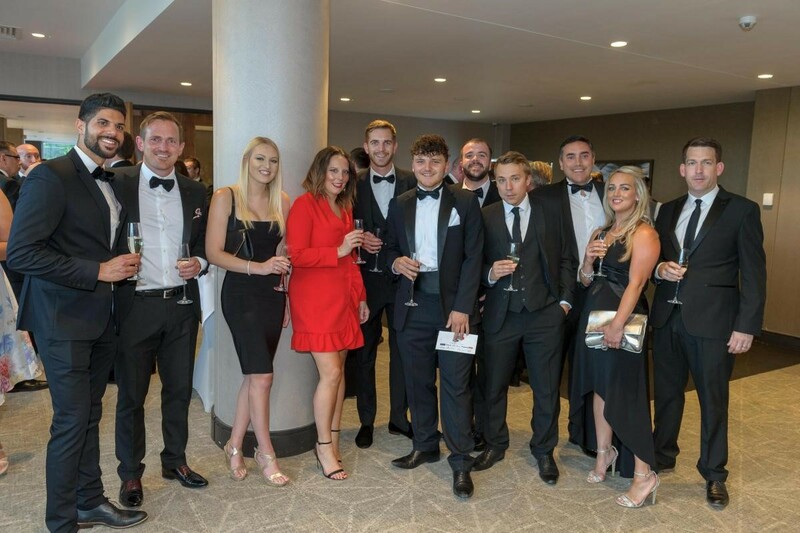 Some of the team who have performed incredibly in Q1 and Q2 were invited along to the awards with the Directors, Liam Thomas, Sam Hughes and Andy Davis. This was a special evening for them, to be able to experience such a respected awards ceremony. They especially loved getting to meet Sir Geoff Hurst who was the guest speaker for the evening. We are extremely proud of the whole team, their hard work and dedication sums up the reason as to why we won this award. As we continue to grow in the next year we are excited to showcase just what Highfield is capable of and what we have to offer not just the South Coast Region but globally. 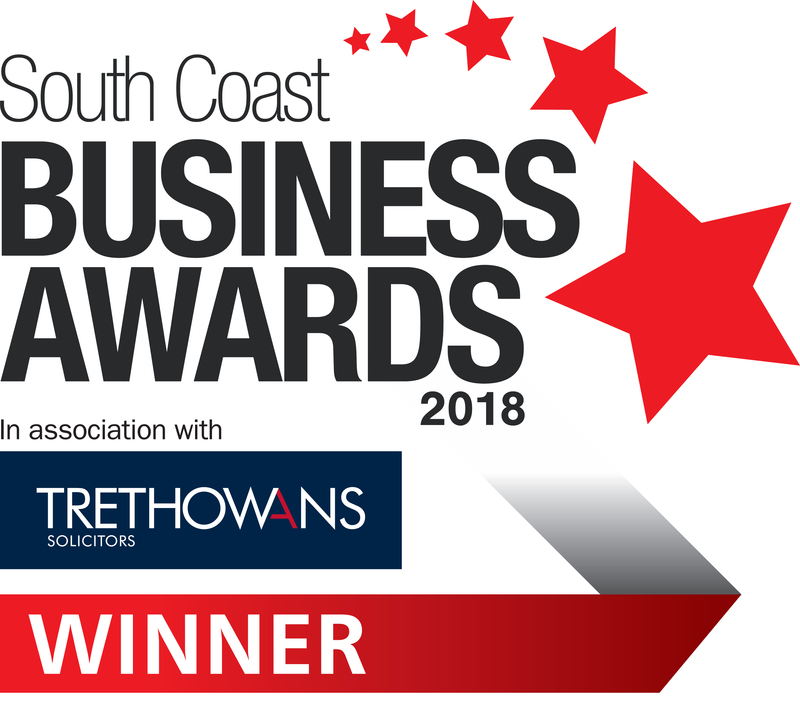 Congratulations to all the winners and finalists of the South Coast Business Awards, it was a great evening to celebrate the best in business on the South Coast.